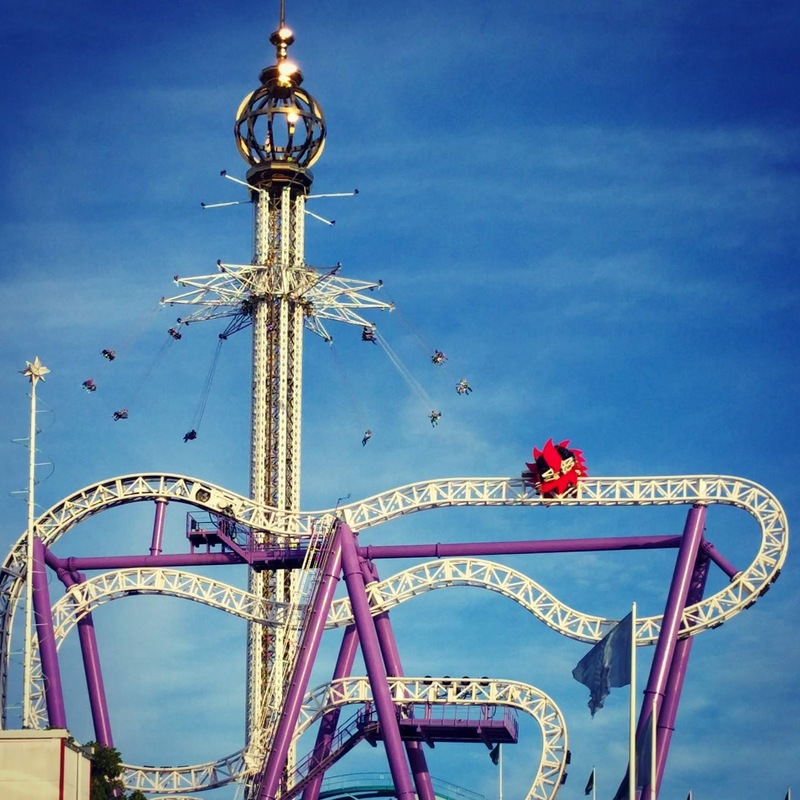 Stockholm in a day? 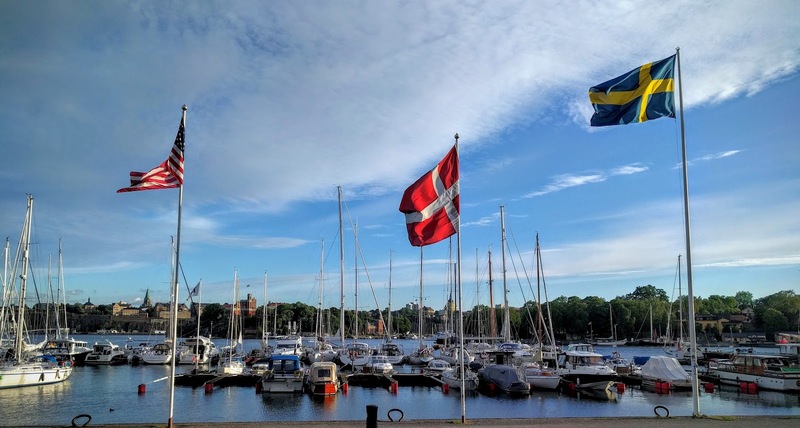 The vibrant capital city of Sweden has tons to offer visiting tourists and business travelers alike and it would be easy to spend a week here exploring the city. 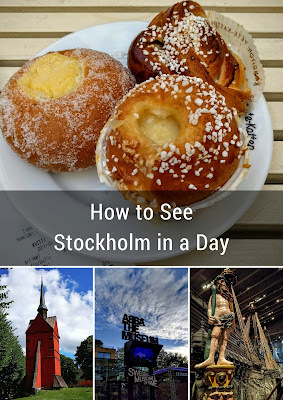 There are so many things to do in Stockholm, but what about those of us that are time limited? Is it possible to spend just one day in Stockholm and make a dent in all that the Swedish capital has to offer? 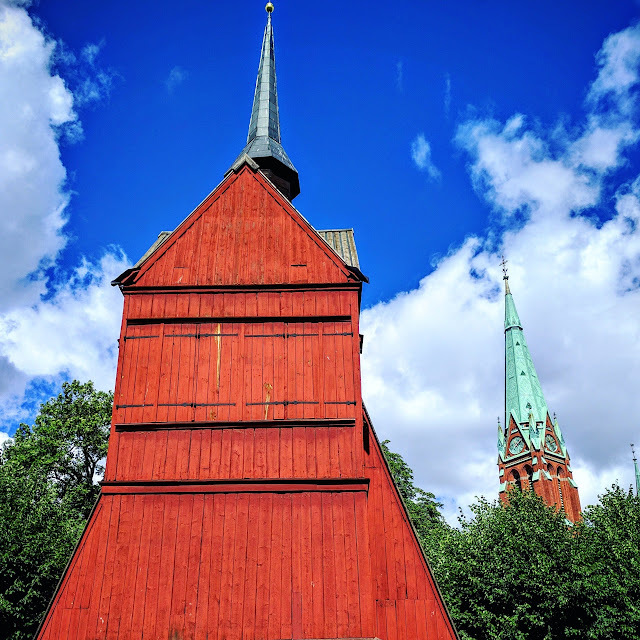 I visited Stockholm in July 2016 for the Travel Bloggers Exchange Conference (TBEX), a business trip of sorts. Because of this, I was definitely in bleisure mode. 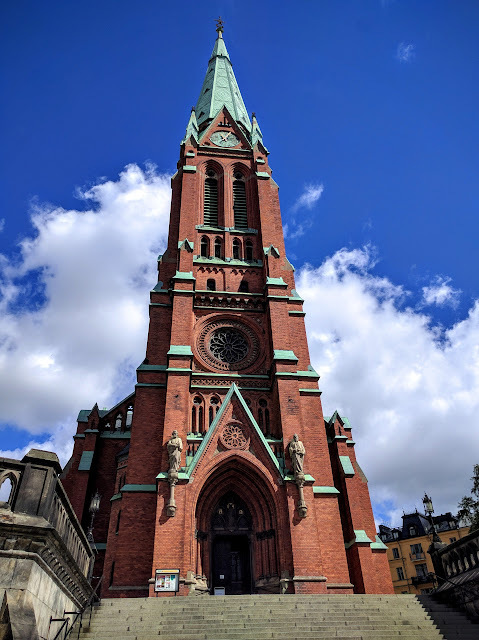 Reflecting on my business trip to Sweden, I compiled a list of things I would include in a perfect 1-day Stockholm itinerary. Here are my recommendations for what to do in Stockholm for a day. Start your 1 day in Stockholm with cake and coffee Swedish style with fika at Vete-Katten. 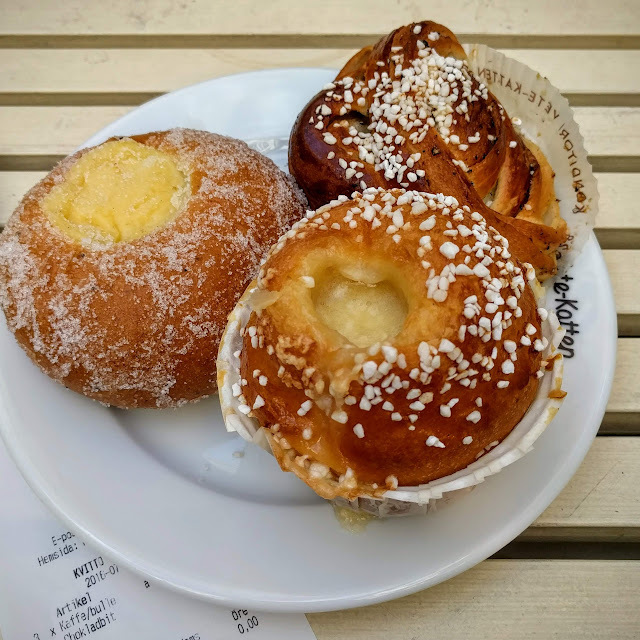 Located in the heart of Stockholm, Vete-Katten is a warren of indoor and outdoor seating areas and offers a few tempting pastry counters. Pay for your coffee and a Swedish pastry (perhaps a cinnamon or cardamom bun or filled brioche? ), grab a cup and saucer, fill it up with thick black coffee and make your way to the back patio if the sun is shining. 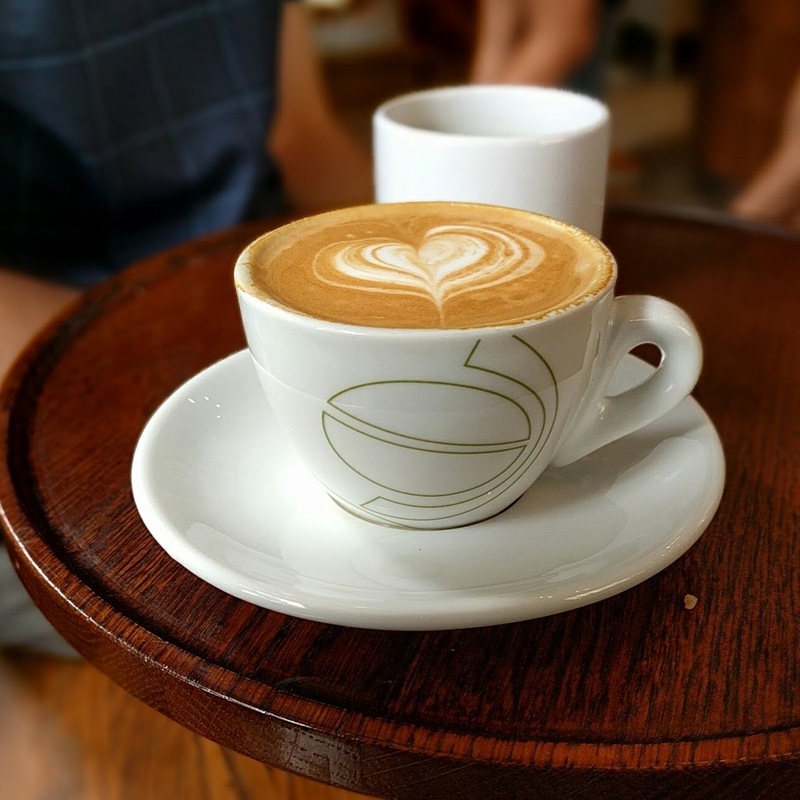 There is no better way to fuel up for your day in Stockholm than with fika for breakfast at Vete-Katten. SIDEWALK SAFARI SPOTLIGHT: Did you know that you can eat a Nobel banquet in Stockholm even without winning the Nobel Prize? 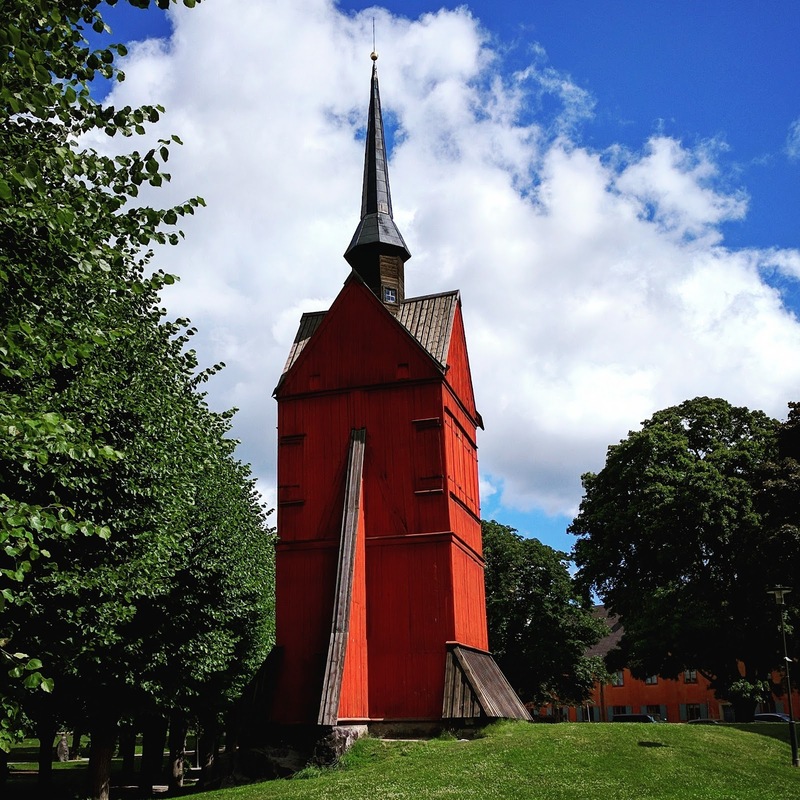 After breakfast, make your way to St. Johannes kyrkogård, a lovely park and cemetery not far from Vete-Katten. The church spire is impressive but I was even more impressed by the red wooden tower that has stood here in Stockholm for centuries. 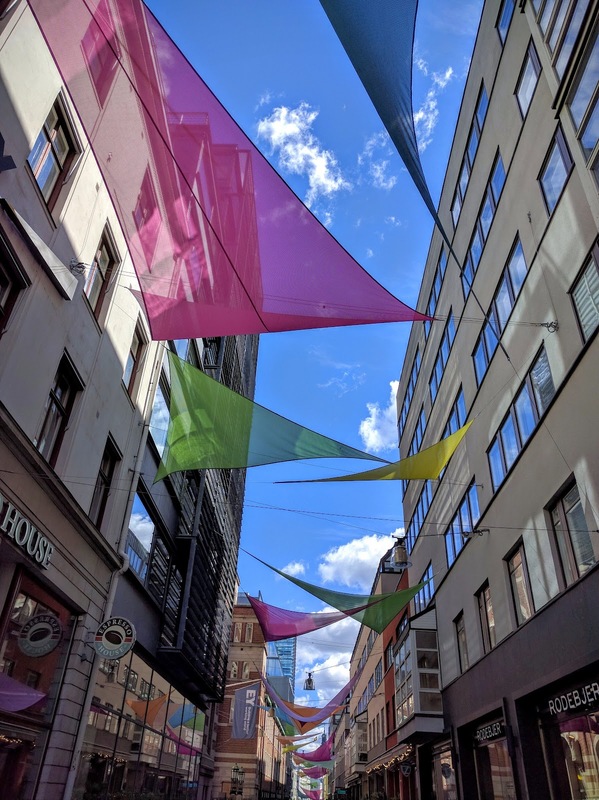 We appreciated the opportunity to soak in Stockholm's intense summer sun and walk off the sweets we ate during our traditional Swedish fika break. We enjoyed exploring the pedestrianized streets in central Stockholm. We wandered down a side street covered in pastel flags. Because of this, we chanced upon MOOD, a quirky shopping mall that not only has free wi-fi but clean restrooms and plenty of fascinating decor. Pop in for a quick rest and a bit of window shopping on your busy day in Stockholm. 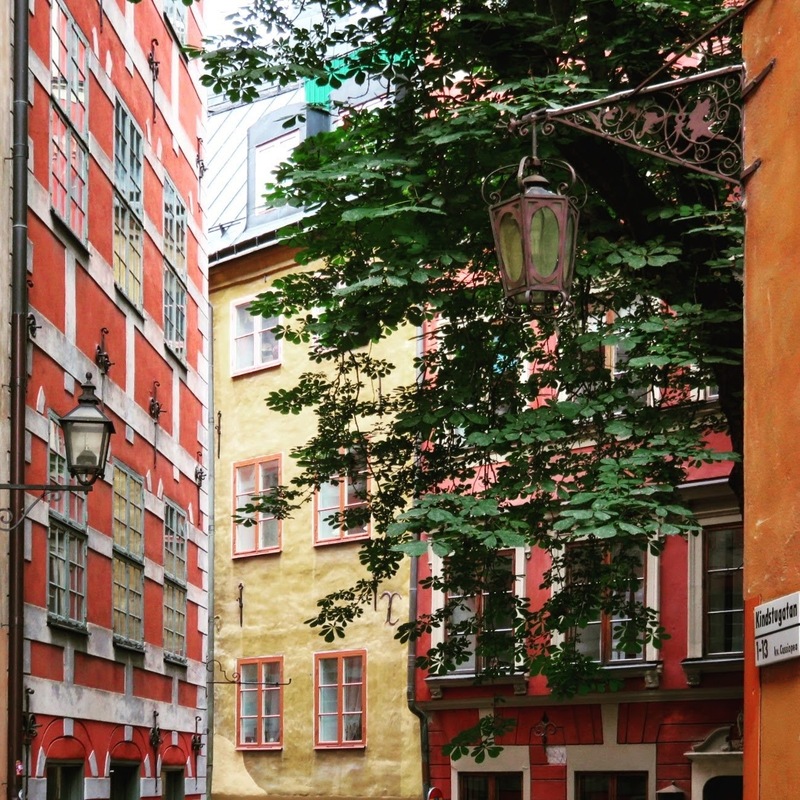 Factor in time for something savory on your 1-day Stockholm itinerary. Enjoy lunch at Östermalms Saluhall. 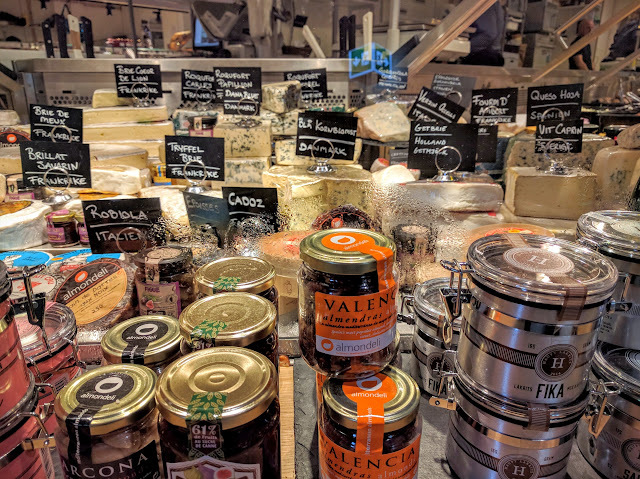 The historic food hall was under construction when we visited but there was a modern wing across the street boasting all sorts of Swedish food specialties; from coffee and pastries to seafood and wine. 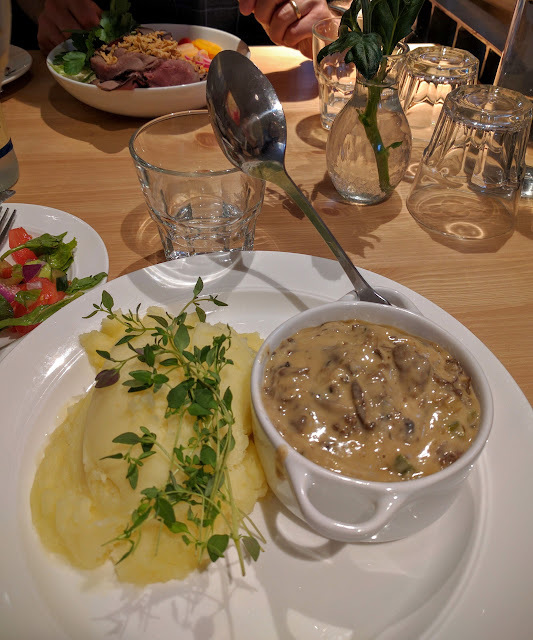 We sat down for a delectable lunch at M Seger and enjoyed a reindeer stew with mashed potatoes washed down with sparkling water. After lunch, continue your day in Stockholm. Emerge back onto the streets and take a post-lunch siesta on a pastel bench in one of the parklets that you are bound to encounter on Stockholm's streets in summer. Haymarket Square in Stockholm features both an open air market during the day and Hötorgshallen, an indoor shopping area focused on gourmet Swedish treats. We stopped into Hötorgshallen and picked up some Swedish lingonberry chocolates, the perfect souvenir of our day in Stockholm! 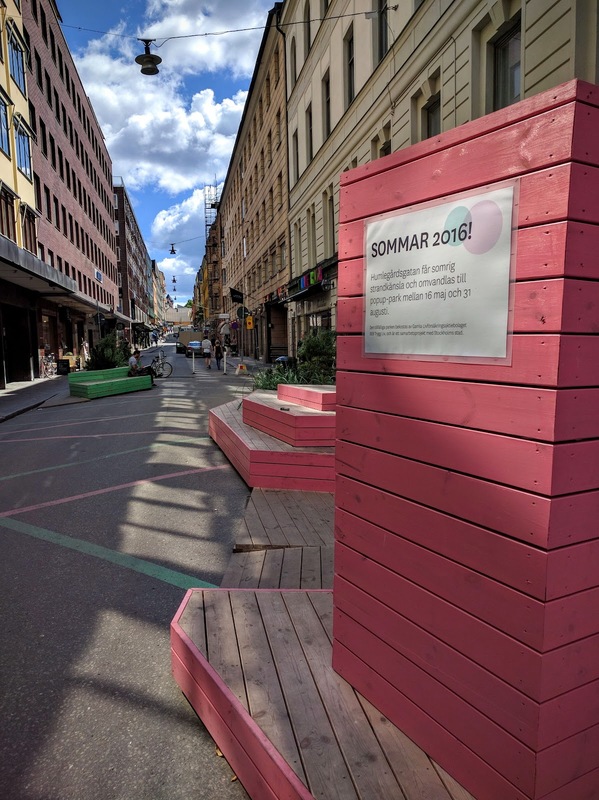 Take the tram to Södermalm, a hipster neighborhood in Stockholm known for artists and a high proportion of single residents. Södermalm is great for foodies. 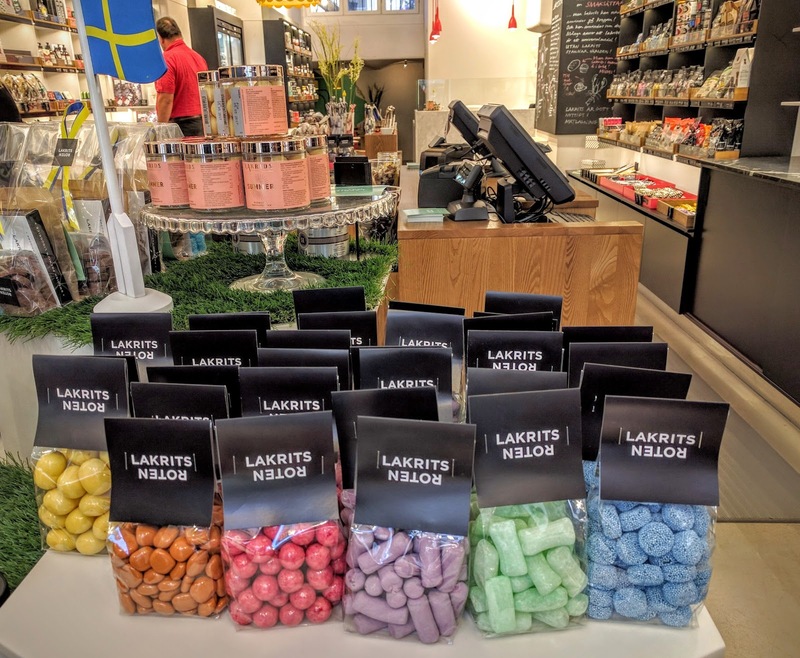 We browsed and sampled some of the amazing licorice creations at Lakrits Roten. I love licorice and took the opportunity to buy a souvenir for myself; some salty Swedish licorice. 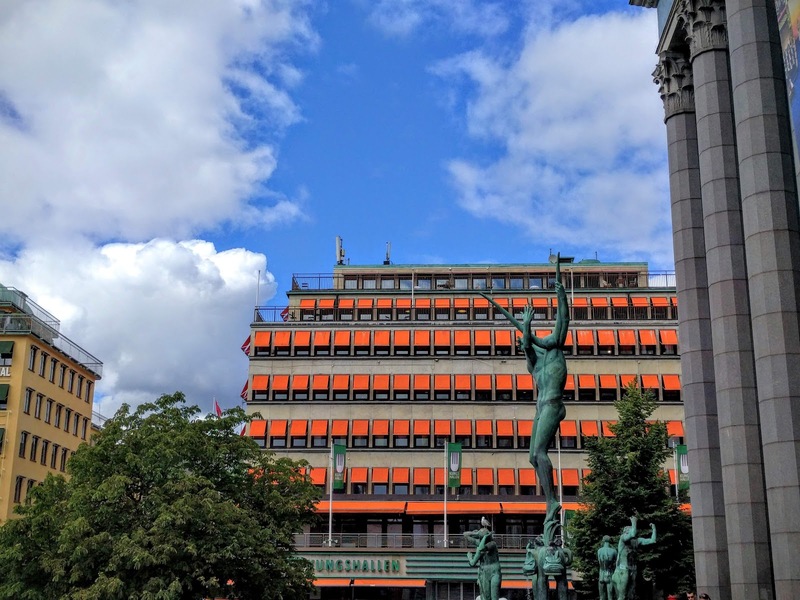 Exploring a city like Stockholm in a day is hard work, especially since the Swedish capital is both widespread and vibrant. Stop for an afternoon coffee at Johan & Nyström in Södermalm. They sell some of the finest coffee in Stockholm. The shop has a smooth hipster vibe. En route back to the city centre from Södermalm, make a pitstop in Gamla Stan, Stockholm's old town. Admire the colorful architecture lining the narrow cobbled streets as you zig-zag your way along. Take time on your day in Stockholm to check out a unique piece of Swedish history by visiting the Vasa Museum. Built in the 1620s, the Vasa sunk on its maiden voyage within sight of Stockholm, the ship's point of departure. 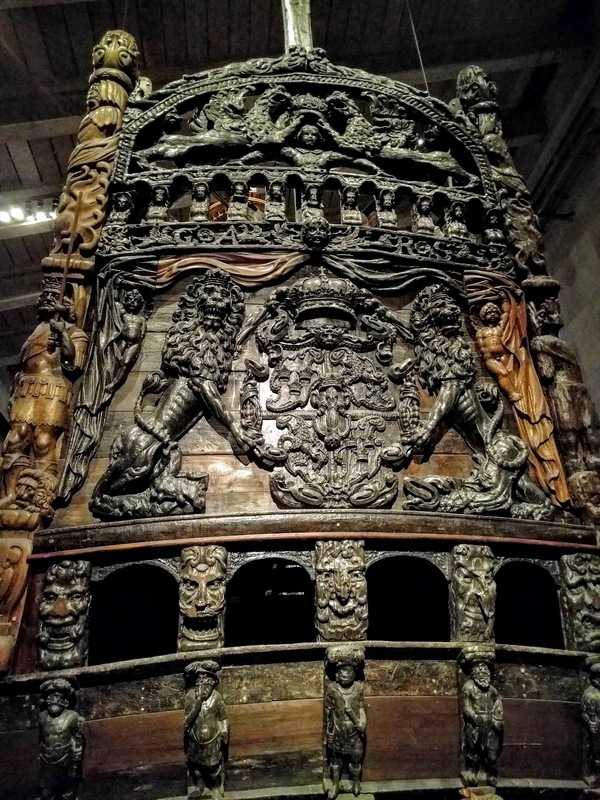 Rumor has it that the Vasa was quite a top heavy ship thanks to all the gilding and ornamentation insisted upon by the king. That combined with the requisite canons meant that the Vasa was at risk of tipping over. A stiff breeze hit and sure enough, the ship foundered and sank. The ship remained at the bottom of the harbor for more than 300 years until Anders Franzén set out to find and recover the Vasa in the 1950s. Today, the extremely well-preserved Vasa is 'docked' at the Vasa Museum. 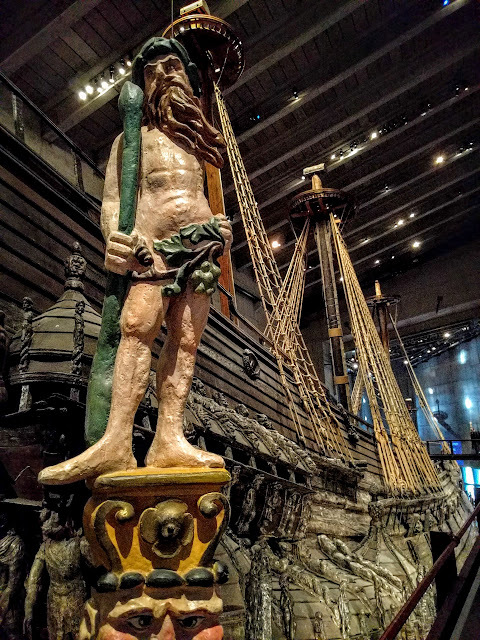 Stare in awe at the ship itself and then read more about the Vasa's history in the associated exhibits. The Vasa museum sits on Djurgården, a small island in Stockholm. A convenient waterfront harbor connects the Vasa Museum with other points of interest including Gröna Lund amusement park. 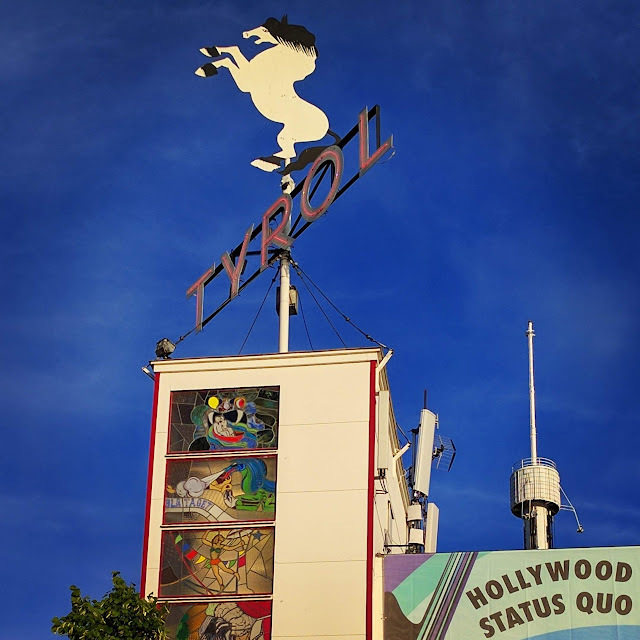 We stood mesmerized as screaming children and adults alike were spun and whirled on the various rides. 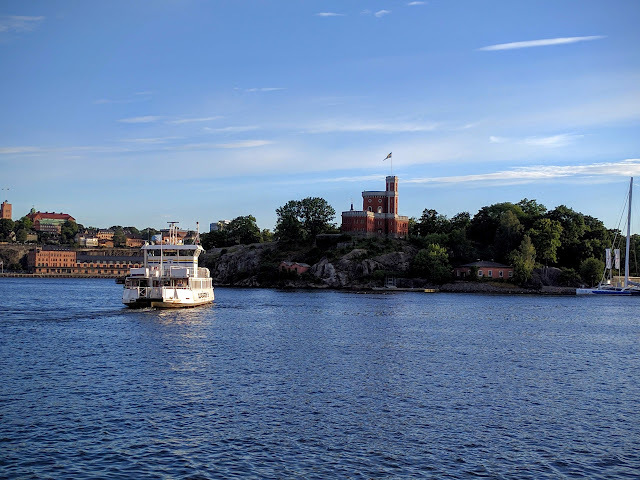 From this vantage point on Djurgården, it is also possible to see Stockholm's Kastellet. The Swedish flag flies above the tower of Kastellet every day that Sweden is at peace. The Swedish flag has been flying a long time...since the early 1800s. 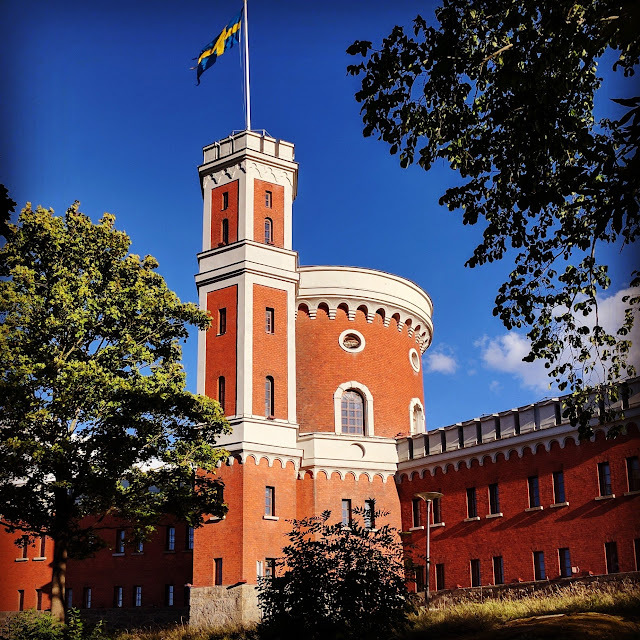 As an alternative walk on your day in Stockholm, consider taking the bus to Kastellholmen for a closer look at Kastellet. Kastellholmen offers equally scenic waterfront views. When I think of Sweden and the Swedish music scene, I immediate think of ABBA, the 1970s disco sensations and Swedish Eurovision champions. 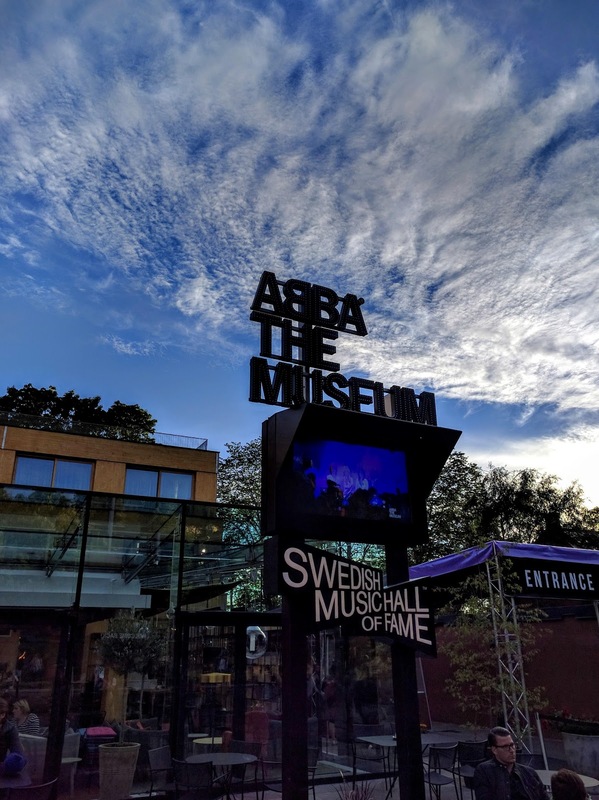 Stockholm now boasts a museum devoted to everything ABBA and it's awesome! End your single day of exploration in Stockholm with an interactive visit to ABBA the Museum. Record a song, perform on stage, and dress up in your polyester, bell-bottomed best. At each station, you can scan your ticket and then download the results when you get home. I could have spent hours at ABBA the Museum. The museum is so much fun and was most definitely a highlight of our day of leisure in Stockholm! 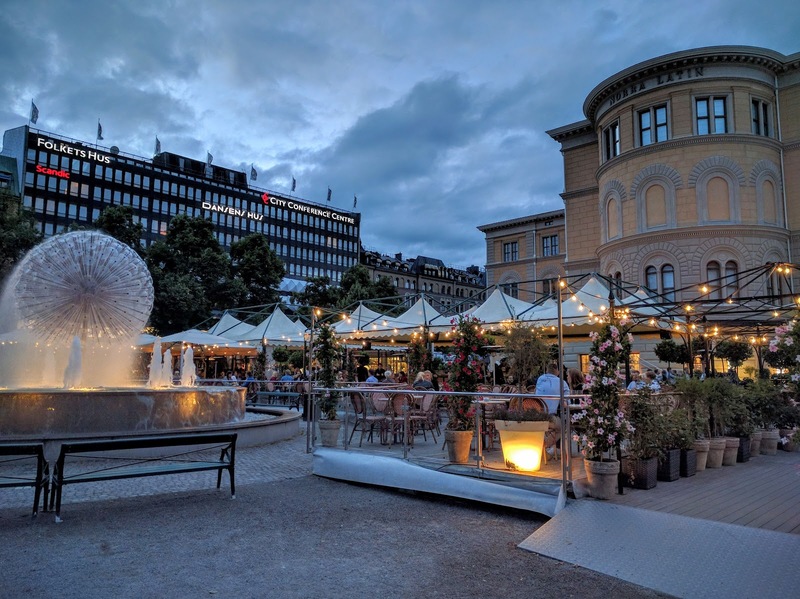 End your day in Stockholm with a well-deserved drink and perhaps a snack at Stockholm's Gården Bar & Grill. Sit outside as the sun sets and listen to smooth funk tunes while sipping a Swedish craft beer. 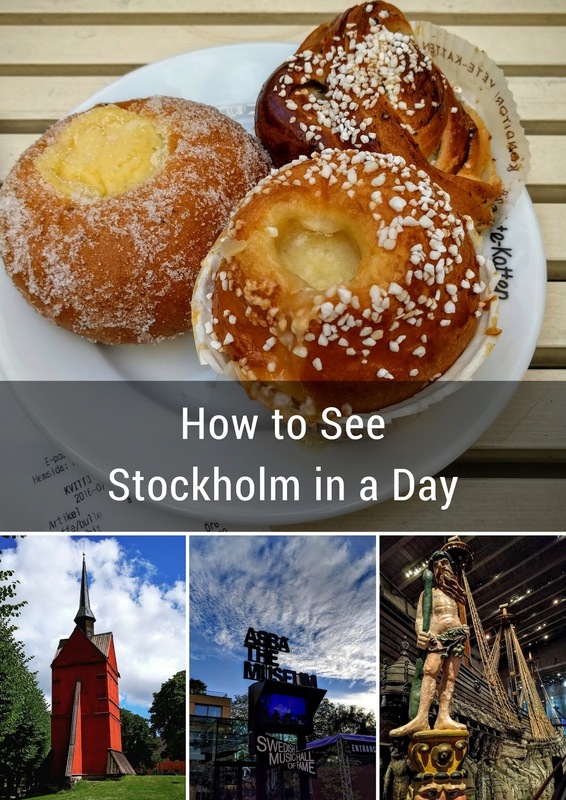 There you have it, my recommendations for what to see in Stockholm in one day (albeit a jam-packed day!) If you have more time, why not get off the beaten track and do a day trip to Norrköping. Experience Stockholm in a day with recommendations of things to do, see, eat, and drink from morning to night if you are in Sweden and short on time.